The minimalist running shoe trend has a lot of appeal. Who can argue that letting the human foot behave as closely as possible to how nature intended is a logical idea? And when it comes to racing shoes, I’ve long favored the lightest, lowest-profile shoe available. But recently the pendulum had swung so far in the direction of minimalism that comfort had gotten a bad name. Cushioning had fallen out of fashion. And runners (and their feet) began to notice. 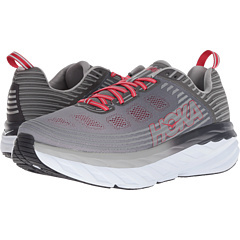 Enter HOKA ONE ONE, the French company who found that thick, highly-cushioned soles and light weight didn’t have to be mutually exclusive. In only nine years, HOKA has become hugely popular by filling a niche that the rest of the running shoe industry had forgotten existed. Spongy, springy running shoes that didn’t weigh a ton and performed well? What a concept! I have to admit I was late to the party, and a little skeptical of the HOKA philosophy until last year when I finally broke down and bought a pair of HOKA Cliftons for half price at the Shamrock Run expo. 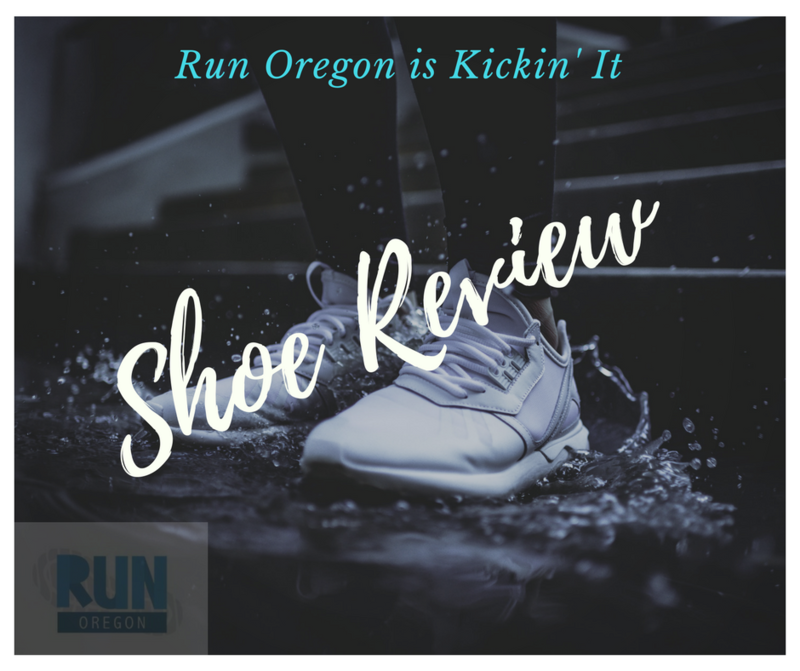 Those began to win me over, and when I got a chance to test a pair of the new Bondi 6s for Run Oregon I didn’t hesitate to accept the offer. The first thing I noticed was the excellent fit, with the roomy toebox easily accommodating my wide feet, and the rear of the shoe snugly yet softly embracing my heels. As I wore them around the house to break them in and gain a first impression, I immediately noticed the plush cushioning (a given), and was amazed by how light such a large shoe could be. With their almost comically thick soles, HOKAs can’t help but appear a bit “clunky”. HOKA has gone so far as to match the color of the top half of the midsole with the upper to make them look a little less ridiculous. But aesthetic oddities aside, the Bondi 6s don’t feel particularly heavy, large, or unwieldy. The only hint that the shoes ride higher than your average running shoe is a slight feeling of “top-heaviness” or “sway” when standing or walking slowly, but because of the excellent design these sensations disappear completely while running, and the Bondi 6s feel very stable and supportive. And appropriately it’s while running when these shoes really shine. My first run in the Bondi 6s was a 14-miler while joining my wife while she paced the second half of the Appletree Marathon. Normally, a 14-mile run in brand new shoes would be ill-advised, but in the short time I’d worn the HOKAs around the house I became confident that they would treat my feet very well on the run. The Appletree course proved to be the perfect test for well-cushioned shoes, as it included smooth and rough pavement, gravel, dry grass and dirt, and standing water during the sporadic downpours we encountered. The Bondi 6s handled each surface with aplomb, my feet not telling the difference as they rode in comfort high above the lumps and bumps and sharp little rocks. In any other shoes my socks would have gotten wet as we ran through the deep puddles during a deluge, but the mega-thick soles kept my feet high and dry. All this in shoes that weigh a modest 10.9 oz (size 9) and boast a silky smooth ride. One final note: The Bondi 6s come with pull loops in the heels. On most shoes these are just a non-functional ornamental design element, like a spoiler on a Prius. They are usually attached too low, and leave some of the shoe’s heel bent against your foot. But on the Bondi 6s they are attached right at the top of the heel, and really work well to easily slide your foot into the shoe. Thank you to HOKA ONE ONE for providing us with a sample pair. Please read our transparency page for info on how we do our reviews.